Not many years ago, the main competition in book selling was only the now defunct Multiply (at least, locally) and when readers weren’t that Book Depository-savvy. Those times were relatively difficult for book-hunting because these sites weren’t specially tailored for book selling. However, recent times have seen easier ways to get those once-unreachable titles, especially those whose physical copies have already run out, leaving behind only digital copies. For the readers prowling the web for sites that offer limited editions or hard-to-find Filipino ebooks, Flipreads may just be the answer. Charles Tan, retail head of Flipreads, takes us inside the first e-bookstore in the country. Hi, Charles! Thank you for this opportunity to talk about Flipreads. Can you share with us what Flipreads is all about? 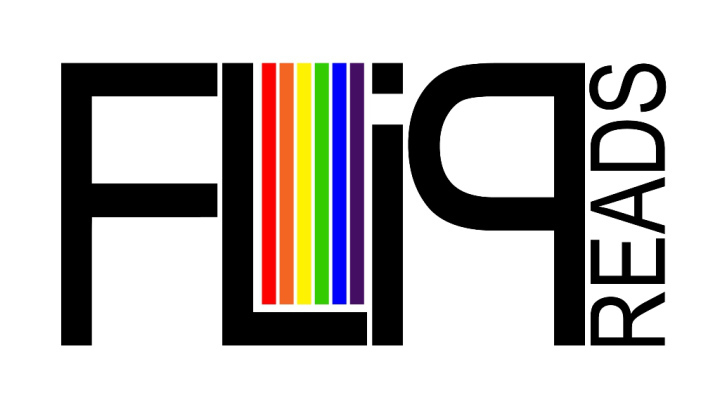 Launched by Flipside Publishing in November 2011, Flipreads is the first operational ebookstore in the Philippines. It is basically a retail store where readers can purchase ebooks at their convenience. Over the years, we’ve added payment gateways, especially those from cash-based providers since we acknowledge that many Filipinos won’t necessarily have access to credit cards. Some of our buyers now pay for their ebooks in 7-Eleven stores, for instance. Flipreads is also device- and platform-agnostic, so the ebooks you buy can be read whether you’re using Windows or OS X, an Android phone or an iOS phone. With Instagram feeds and Book Depository, online bookselling and buying are not foreign to Filipino readers anymore. Flipreads, however, is on a different scale. How does it work? One significant difference between the sites you mentioned is that they usually sell physical goods while Flipreads exclusively sells digital goods. From the buyer’s side, if there’s any ebook they want, all they need to do is sign up, order the book and select a payment gateway. Some payment gateways, like PayPal, will immediately process the order while others will take some time to process, depending on when you pay for your order and our office hours. Once that has been completed, they can automatically download their ebook. From the seller’s side, they contact us and sign a sales agreement. Once we have their sales agreement, we’re authorized to sell their ebooks on our website. We provide sellers sales reports once a month. Currently, our promotions tend to be word-of-mouth and some social media presence, in addition to appearing and sponsoring some reader-related events like Filipino ReaderCon. Buying books from Flipreads sounds easy! The range of Filipino titles on the site looks diverse as well, being that local literature is difficult to find. How do you acquire these books? When we started out, most of the books on Flipreads were ebooks published by Flipside Publishing, which included co-publishing deals with publishers like The University of the Philippines Press and Precious Pages, comics like Tabi Po and Trese, or fiction titles like Alternative Alamat and Woman in a Frame. Adding to that, we approached some publishers and authors and asked them if they wanted to distribute their books with us. And that was what happened with our comics collection, as we currently have around 120 comics by Filipino creators on the website. Other times, some authors and publishers also approach us via the website and we’re happy to host and feature their content on the website, as long as they meet all the requirements and are willing to do the paperwork. Our mentality is that we’re not really a curator, but more of an avenue where readers can read and purchase local work. Surely, Flipreads has had its ups and downs over the years. Can you share with us your best times and worst challenges as an ebookstore? Some of the best times we’ve had are our interactions with fellow readers, be that face-to-face or online. On the other hand, arguably the biggest challenge for us is spreading awareness that we exist and how to use ebooks. Or that sometimes, some customers still mistake us for selling physical books and mailing it to them. Plans we should look forward to? We’re planning on overhauling our system so it’s more user-friendly and has a better search algorithm. We’re also looking into expanding our current payment gateways so that readers will have more options. What do you think of the reading in the Philippines? I think we have a lot of readers in the Philippines, both for print and electronic. The challenge is to get them to focus on local writing as well. Any thoughts on print books and ebooks?